Is Apple about to move our iTunes libraries into the cloud? If seemingly imminent plans by Apple to buy a small online music specialist from California go ahead, it could signal the end of music downloading as we know it. The apparently solid rumours that Jobs and co. are set to snap up Lala, a cloud-storage music website, suggests that Apple is either looking to add streaming music to iTunes or build something even more innovative. Lala's ability to make entire music collections available from the cloud obviates the need for users to keep downloaded copies offline on any of their own media, whether that's a portable player or a computer hard drive. 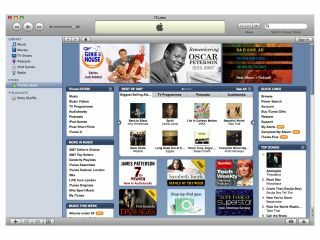 Should iTunes eventually morph into a music library in the sky, as many observers are speculating, then both downloads and music copying could disappear. After all, when companies like Apple are merely selling the right to listen to music stored remotely on hardware with permission to access it, then there won't be a lot left to copy.